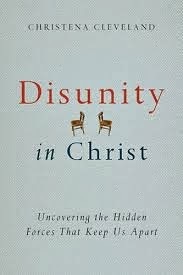 Christena Cleveland’s Disunity in Christ: Uncovering the Hidden Forces that Keep Us Apart is a lovely piece of writing. It’s humorous—always a welcome surprise in Christian literature!—and very smart (knowing Cleveland, a previous guest on the On Pop Theology Podcast, the thorough scholarship of the book is much less surprising.) Her argument—built on wisdom gained through personal experience as well as social psychology, and further developed through her own research—is that Christian groups can discover unity by focusing on that which we have in common, instead of focusing on the theological and cultural specifics which we use to antagonize one another. Throughout Disunity in Christ, I was struck by certain points of analysis that gave me pause and caused me personal conviction. As a Christian blogger, I regularly exploit differences with other Christians in order to “set myself apart,” so-to-speak. It’s a great way to gain traffic; but more insidiously, it gives both me and my readers the opportunity to feel superior to other Christians. Cleveland says this sort of behavior is about self-esteem and power: “The unfortunate truth is that the easiest and most effective way to boost your own image is to lower someone else’s” (105). I fear that this is rather common practice within the Christian internet and its variety of subcultures. 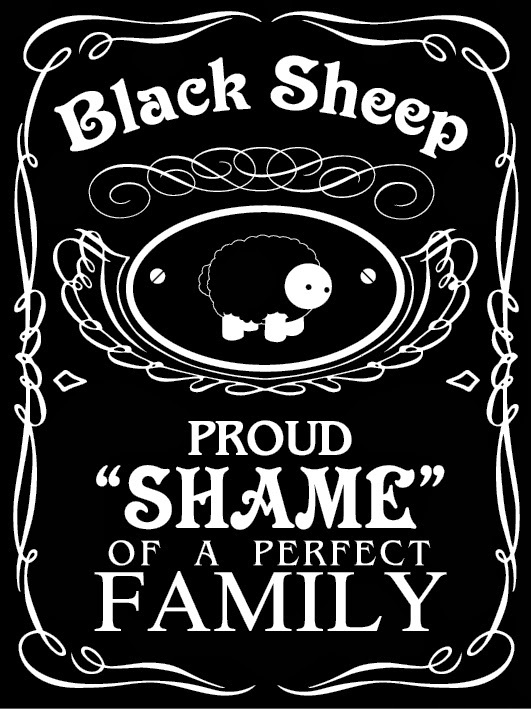 But an even more potentially hurtful phenomenon within the Christian internets, which Cleveland describes, stems from the “black sheep effect.” This occurs when those who we would consider a part of our “ingroup”—those similar to us, who we expect to be our comrades and defenders—express a dissenting opinion from that which is expected of the group. For subcultures, defining safe and insulating boundaries is of supreme importance; maintaining moral high ground is what keeps the group identity (and in turn, one’s personal identity) intact. I’ve witnessed this time and again among my own subculture within the Christian internet—those who dissent, or even nuance a conversation, are instantly turned on as enemies. Cleveland writes: “This black sheep effect helps to explain why group members go to great lengths to punish and exclude other ingroup members who do not subscribe to the cultural beliefs of the group…we hate those people” (129). For me, her explication of this phenomenon was a highlight of the book—it helped me understand a particularly unpleasant interaction with other members of my internet coterie. This past fall, I expressed a dissenting opinion in a group discussion on Facebook; months later, I found some of my comments—stripped of context and qualifying statements—reposted by a blogger who I respect (but with whom I had disagreed on a different topic) who then used them to argue that I support a certain “paleo-confederate." His claim was in complete antithesis to my actual argument, and yet, I wondered if the post would still cause me to be blacklisted in my small subculture, disgraced before those with whom I share many common beliefs and interests; I also wondered if it was the purpose of the post to engineer my exclusion along with the others mentioned there. I was confused, afraid, and embarrassed. Cleveland doesn’t offer an easy solution for those stuck in “black sheep” situations, but she does make the complex social interaction understandable, which I appreciated—as might the many other Christians, bloggers or not, who have found themselves in similar positions. Existing as “the Other” opposite a privileged subject means one’s agency, identity, and personhood is chronically disregarded as unimportant when viewed through privilege’s lens—while privilege regards its own identity and corresponding values as a universal standard. In the context of seeking unity in the Church, the privileged and the underprivileged do not come together for reconciliation on equal footing—unless those with privilege are willing to give up the advantages that come with their position, and even then, their status is not erased. Therefore, conflict resolution between the privileged and the underprivileged is fraught with negotiations of power that remain problematic even when privilege is acknowledged. Cleveland encourages those in privileged positions to address the way their power hinders unity; “Positive crosscultural interactions only work if both groups enjoy equal status” (165). However, power dynamics are impossible to eradicate. I had hoped for more discussion of how we might deal with this fact. I also wanted to hear Cleveland discuss instances of conflict where the dissonance between “Christian” positions was so strong, and the difference so wide, that it would be difficult to even identify the schisming members as part of the same religion. How should we address threats to unity that happen when we find another Christian’s position to be a repugnant, oppressive, or even heretical characterization of the Gospel—when the point of contention between “Right Christian” and “Wrong Christian” is more than petty judgmentalism? Perhaps Cleveland’s inclusion of Thabiti Anyabwile’s blurb on her book cover was itself a statement as to how Christians can function together even when they vehemently disagree. Last August, Anyabwile wrote an inflammatory post denouncing homosexuality in disturbing terms; the uproar only increased after Cleveland included him on a list recommending blogs written by people of color. After receiving criticism for his inclusion, Cleveland defended her choice, saying that though she might disagree with Anyabwile’s theology, she respects other aspects of his work—in effect, she prefers to take the good, leave the bad, and humbly let “iron sharpen iron” (a principle she develops early in the book, using the metaphor to illustrate the difficult and unpleasant nature of reconciliation.) So perhaps this is Cleveland painting us a small portrait of how unity might be pursued between those who espouse incompatible views, but that is merely an inference. I would have liked to see her speak more explicitly on this subject. In sum, I would recommend Disunity in Christ as a primer for those interested in group dynamics and for those interested in learning about the ways we in the Church can overcome the self-seeking, power-motivated tactics we too often conflate with serving the Kingdom. Even with my few caveats, the book shares an abundant wealth of information, nuanced analysis, and thoughtful reflection on the nature of the Church. The author’s passion for unity is certain to inspire and challenge every member of the Body of Christ who takes up and reads. It’s not a panacea, but it’s a good, healthy start—and for those of us looking for a bit of guidance, Cleveland’s work proves to be enormously helpful. Charity Erickson and her husband live and work together in the north woods of Minnesota. Check out her blog for more of her writing and follow her on Twitter @CharityJill.